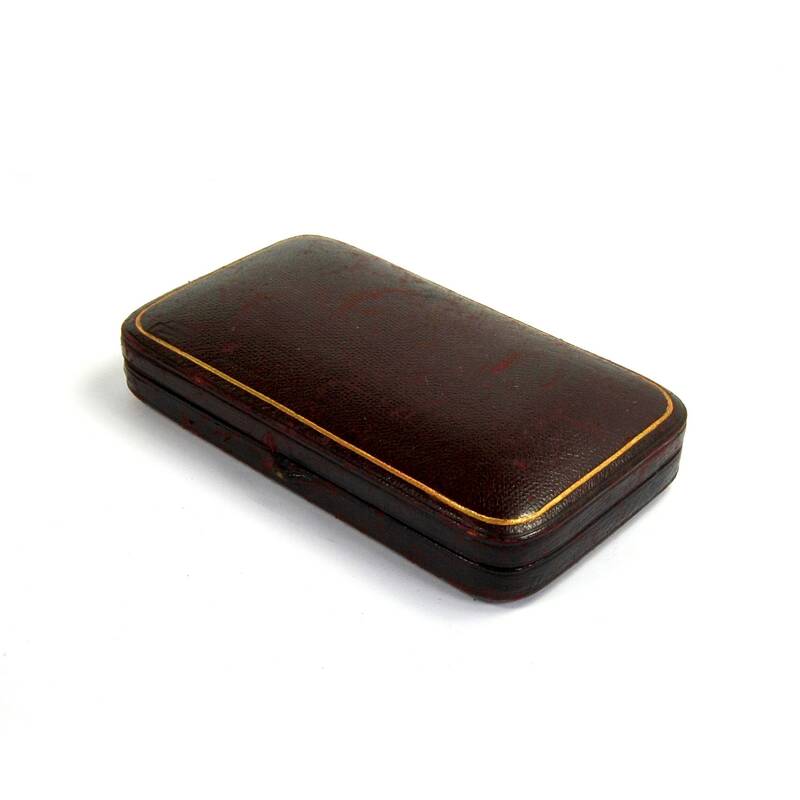 For your consideration is this antique sewing set in a burgundy Moroccan leather covered case, circa 1900. 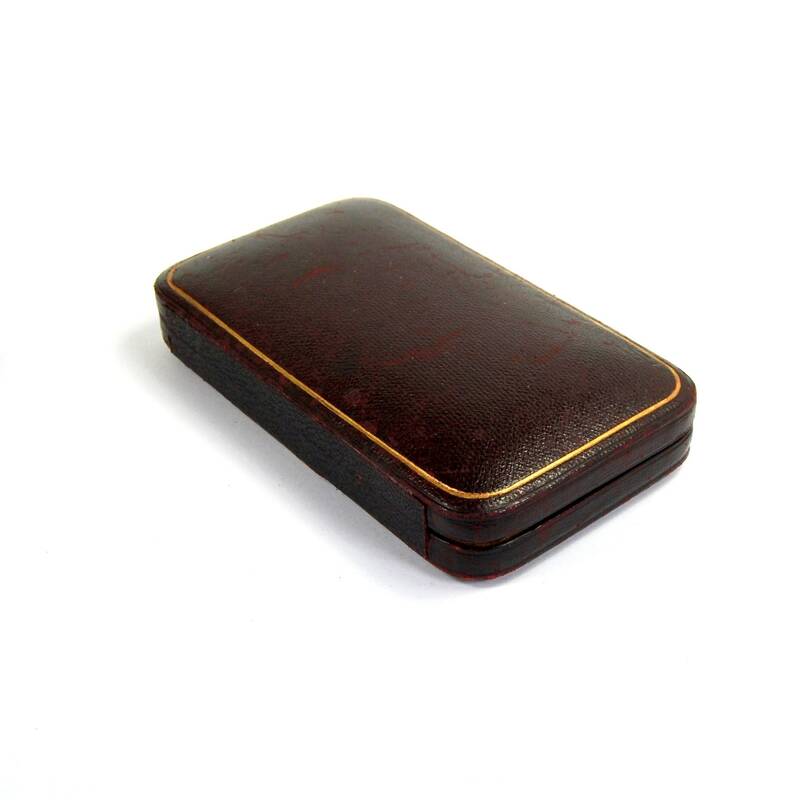 The case is lined with red velvet and satin. 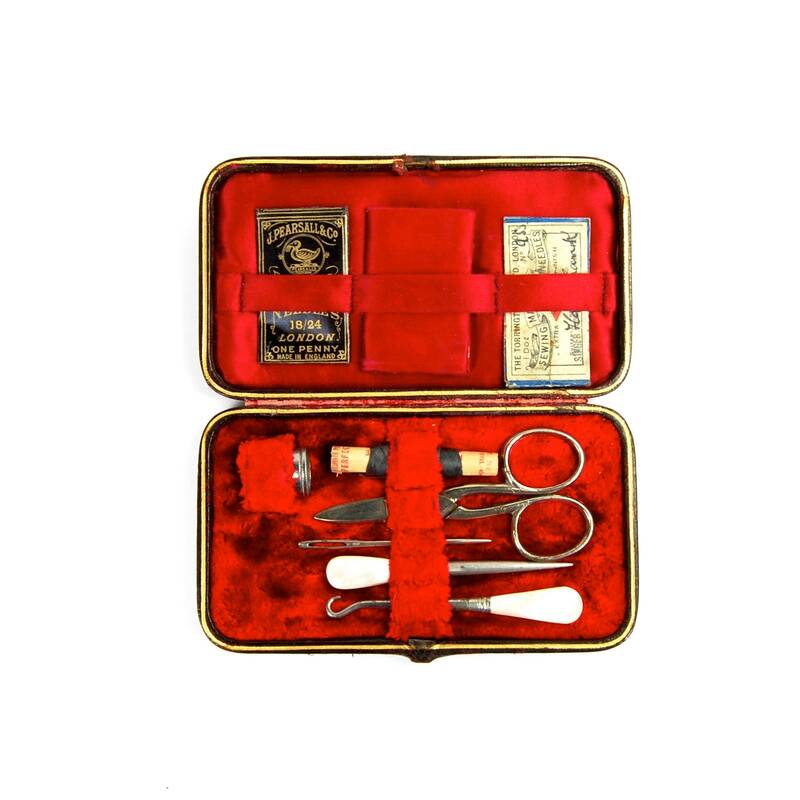 This kit includes the following needlework tools; a set of scissors, a mother of pearl handled stiletto, a mother of pearl handled buttonhook, a large bodkin-like needle, a thimble, a red satin needle book and two packets of antique needles. 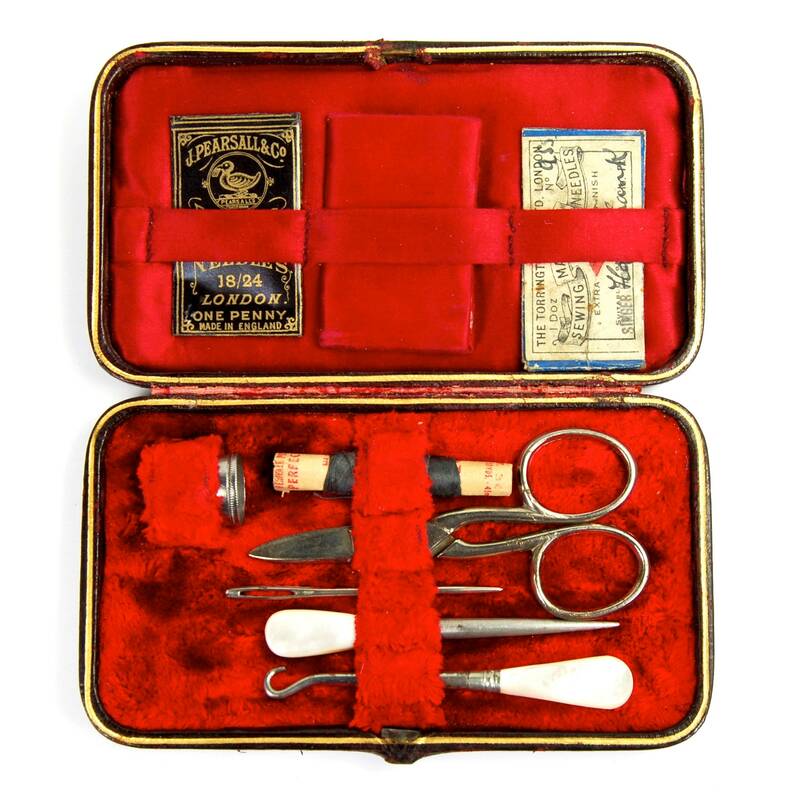 5.75 inches by 3.25 inches. 1 inch tall.